Cucukan Beach has become a magnet for surfers to get a fun surfing experience. 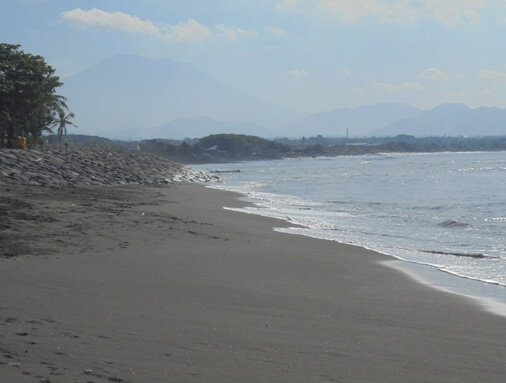 This is a great surfing spot with panoramic views along the grayish black sandy beach, rice fields, coconut trees, shadow of Mount Agung and nice view to Nusa Penida. 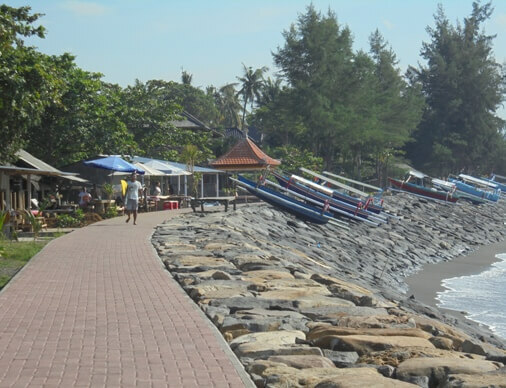 This coast is situated in Medahan Village, Blahbatuh District, Gianyar Regency, Bali. This beach is tucked away between the Lebih Beach and Masceti Beach. You can access it from the Jl. Prof. Dr. Ida Bagus Mantra in Blahbatuh. The entrance access via a small road located on opposite of the Bali Safari & Marine Park. This spot is easily accessible by car and less than 500 meters from the main road. This is a coastal village where most of the people still work as wetland farmers and fishermen. Along the beach there is still a vast and fertile rice field. Also seen some fishing boats leaning on the revetment with attractive colors. Some warung/food-stalls seen on the beach, suitable for shelter while observe the waves or watching the surfers. There are also lodging facilities and villas to support the comfort of visitors. 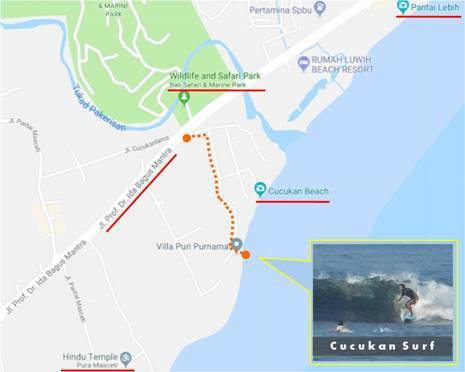 Cucukan point is located just north of Keramas surf break. This is usually the surfer aim when the Keramas is crowded. The atmosphere here is quieter, with a slow rhythm of life and friendly local people. This is a favorite location with good surf breaks, huge waves and beautiful barreled. This spot is very good when it’s going to high tide. It becomes shallow and lots of sharp coral at low tide. This point is good for beginners to advanced surfers. The best time to surf here is during the wet season in November till April. During this time the wind is blowing from the West and Southwest. This creates suitable waves for surfing especially on the east coast of Bali.